You call him - THE BEST, THE GREATEST, YOUR HERO, THE COOLEST, YOUR TEACHER, YOUR PROVIDER, THE DEFENDER! All these are true. A father will carry you when you cant walk anymore. He will work really hard for their families to have a piece of bread in the table or a glass of milk before you go to bed. A father will catch every stone that cast over their children. A father will always be a father no matter what happens. 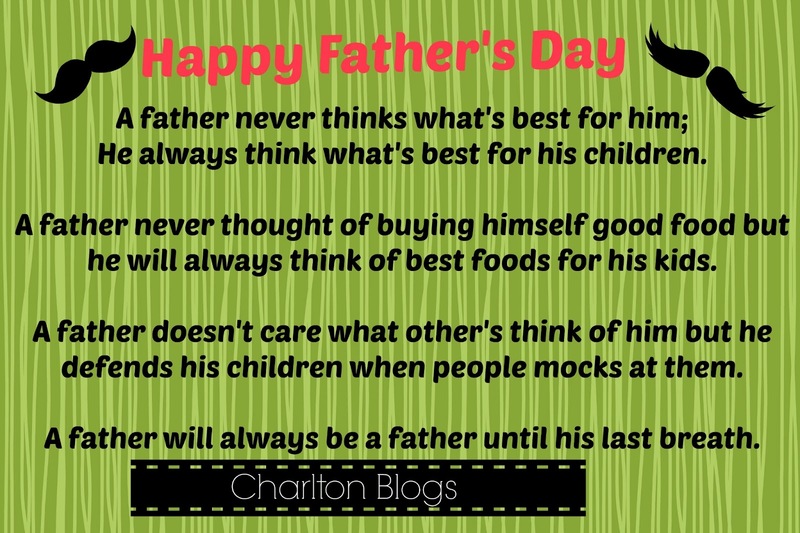 Happy Father's Day to every father.